The Echoes Top 25 for May continues a trend towards chilled out vocal music but the top three slots are held by three CD of the Month picks, one vocal, two instrumental. Lyla Foy is a relatively new artist who used to record as Wall. Her Mirrors the Sky album, the first under her own name, was a CD of the Month in March. But surrounding her are two veteran Echoes artists, one of who goes back even further than the show. Carl Weingarten’s beautiful chamber Americana journey, Life Under Stars is our current CD of the Month in June. 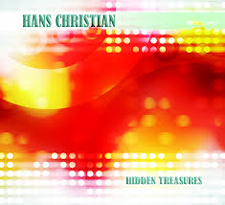 And leading the pack is Hans Christian’s Hidden Treasures, our May CD of the Month selection, an album of cross-cultural ecstasy. You can read about all of those and hear tracks by following the links above. Newcomers to the Echoes Top 25 include Stumbeleine, 9Bach, Phox, Hauschka, Ben Cosgrove and Michael Barry-Rec. Here’s thecomplete list.